Holman Fenwick Willan is deeply saddened to announce the death of James Clibbon, an Insurance Partner in the firm's London office, on 24 April. James, who specialised in professional practices work, spent much of his career acting in professional indemnity matters and was a well known personality in the insurance market. He joined the firm in 2012 from Streathers Solicitors where he was a Partner, having previously been with Barlow Lyde and Gilbert's Professional Indemnity and Commercial Litigation department (1997-2006). 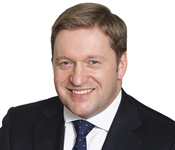 James originally qualified as a Barrister (1994) and re-qualified as a solicitor in 1997. Our thoughts and condolences are with James's family and friends at this very sad time.